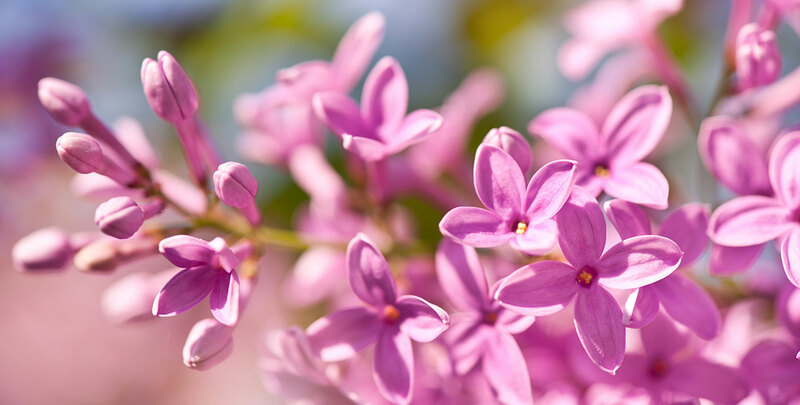 The common lilac or syringa vulgaris is a shrub or small tree that loses its leaves in the autumn. The name of this deciduous species of flowering plant refers to the colour of its handsome flowers, which are arranged in dense, long panicles. It is one of the species most commonly planted as informal and mixed hedges. This medium-sized shrub is not only suitable for countryside hedges; it is also the perfect hedging plant to add a little colour to smaller gardens, as it does not grow too large and can easily be kept in check. And since its pleasantly scented flowers bloom before most other summer flowers, planting a lilac hedge will make the summer arrive at your garden early. If you opt for a common lilac hedge, you will be rewarded with fresh green leaves and compact clusters of fragrant, lilac-coloured flower heads during springtime. These dense panicles are what the common lilac is renowned for. They will make your garden look a little more colourful during late spring and early summer. Specifically, the common lilac blooms from May to June. In addition, the vibrant green foliage is at its best during the sunniest months of the year. The leaves will provide an excellent backdrop for the lush blooms. The common lilac is a versatile, vigorous and very reliable plant, which makes a useful addition to wild gardens. However, they can also be combined with other informal, native species. The common lilac is native to the Balkan Peninsula, where it still grows on rocky hills to this day. By the time the species was introduced to northern Europe in the late sixteenth century, the common lilac was already known as a highly ornamental garden plant in the Ottoman Empire. Therefore, the common lilac can certainly be considered to be a fairly classic hedging plant. As its colourful flower heads beg to be noticed, it did not take long before the species was highly appreciated for its aesthetic value. Many cultivars have been developed through the years, most of which can be distinguished by the colour of their flower panicles, ranging from white to dark shades of purple. The sweet fragrance of the flowers does not only attract the attention of humans. Butterflies are also known to be attracted by the common lilac and will therefore add another dimension of colour to any garden with a lilac hedge. As this species has so much ornamental value, it is difficult to picture the common lilac as anything but an ornamental plant. Its close-grained, extremely hard wood, however, is reported to be one of the densest wood types available in Europe and is allegedly excellent for carving purposes. In contrast to its showy flower heads, the fruits of the common lilac are inconspicuously brown and dry. They are not edible and disperse by releasing two-winged seeds. Common lilac hedges are fully hardy and grow at an average rate of 30 to 50 centimetres a year. This species of hedging plant does well in the full sun and partial shade. However, if your lilac hedge is planted in the shade, it will not bloom well. Lilac requires a neutral or mildly alkaline soil, while acidic soils are less suitable. As common lilac hedges do not like wet feet, the soil needs to be well-drained and at least slightly fertile. 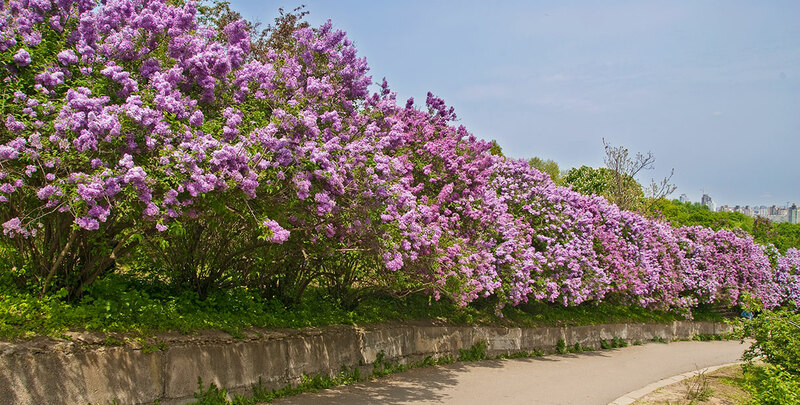 If your soil is in poor condition, you can always make it more fertile by adding some manure or compost during springtime, which can be a good time to plant your lilac hedge. However, planting common lilac in the autumn is preferred . 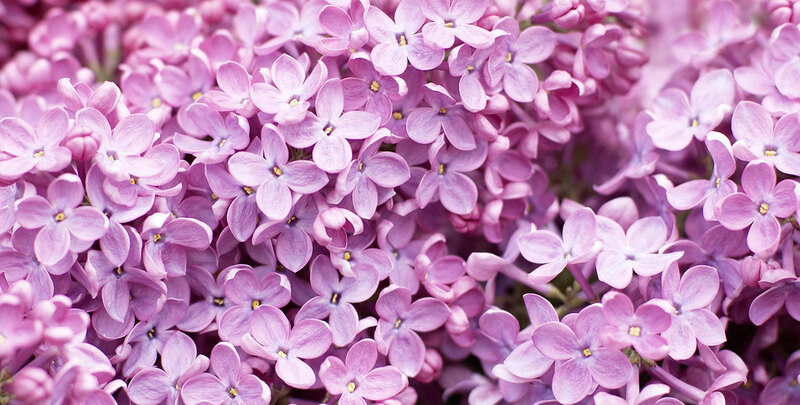 The common lilac is a suckering plant, which will give you the results you want, as long as you clip your lilac hedge frequently, as regular pruning strongly encourages flowering. Common lilac will provide you with a dense screening hedge that will draw butterflies into your garden, thus being valuable to wildlife. Clip back faded flowers straight away and thin out about a third of the branches annually. If you would prefer to have a common lilac tree in your garden and grow it as a specimen, it can reach a height of up to 7 metres if left unpruned. Most cultivars, however, do not exceed 5 metres in height. Be careful not to overfertilize, as that will prevent blooming. Flowering hedges do not come much more beautiful than the common lilac hedge. You will always have the beautiful flower panicles and their pleasant, sweet smell to look forward to after a long day of work. And you will not be the only one looking forward to having a common lilac hedge in your garden though, as butterflies will visit any garden with this type of hedge frequently. That way, they will add even more colour to your already vibrant garden. 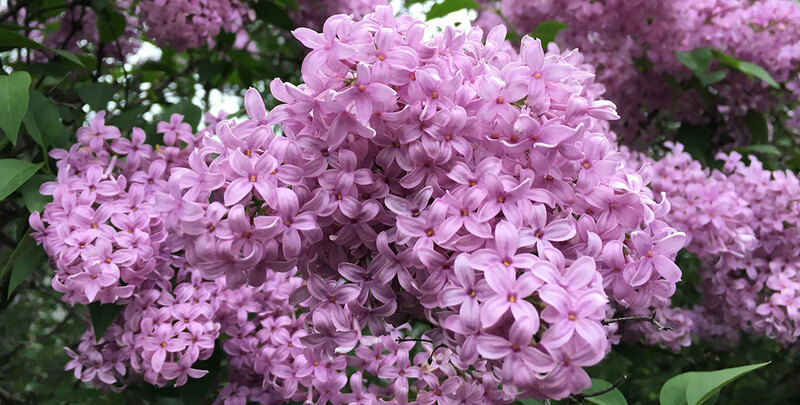 The beautiful foliage of the common lilac should not be ignored, however, as the leaves allow the flower heads to shine during flowering season, but possess enough beauty to leave a lasting impression by themselves. Do not let the name of the common lilac discourage you: there is nothing “common” about this beautiful hedging plant. And despite its fairly specific soil requirements, the species demands relatively little maintenance. The common lilac will make a great component for mixed hedges, but even if you plant a lilac hedge by itself, its dense foliage and beautiful lilac flowers will make your hedge a sight for sore eyes.